Need Gardening Services in the Dublin area? Lavin Landscape & Ground Maintenance services in Dublin would be delighted to help. We even offer same day gardening services if our scheduled permits. 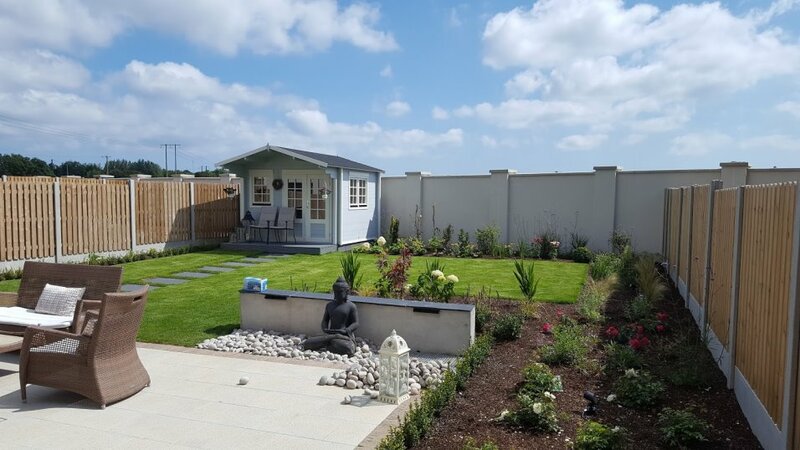 Just call Lavin Landscape & Ground Maintenance services on 01 8394444 or you can book a gardening job online for a time that suits to get your gardening done, or schedule a free, no obligation quote. Gardening maintenance prices can vary depending on the size, length and overall state of your garden currently, so it is usually best for us to view the garden first to ensure an accurate estimate of costs. We can complete all aspects of gardening maintenance, be that a one-off garden clean up, or regular lawn mowing, pruning, edging, fertilising and mulching. Or perhaps more involved gardening projects, such as irrigation and watering solutions, garden landscaping and design, and hard landscaping services. Lavin Landscape & Ground Maintenance offer fully trained staff, who can advise you on all aspects of garden care, from plant selection, pruning, fertilization and mulching schedules, how to promote strong root systems, how often to water gardens, lawns and different plants, recommendations on plant feed, weeding and wetting agents best suited to each plant, tree and lawn type. It is important that trees, flowers and plants are not damaged when fertilized or mulched. Similarly, care should be taken to ensure garden lawns are not watered too often in different seasons as this can promote shallow root growth. Likewise, watering too frequently can deteriorate soil nutrients and change soil pH levels, reducing the lushness of plants and lawns. Our fully trained gardening team know this, and so much more, so don’t leave your gardening care to just anyone. Be assured that all Lavin Landscape & Ground Maintenance staff are fully insured and fully trained. Remember, we also offer more than just expert gardening services in Dublin. Our services extend to entire lawn mowing, tree, shrub and hedging trimming and pruning, landscape design and hard landscaping services.